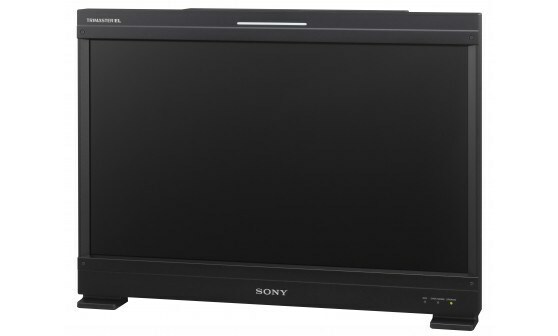 For reference monitoring applications in the broadcast industry, Sony’s leading edge Organic Light-Emitting Diode (OLED) technology and signals processing technology ensures absolutely outstanding performance with the BVM-F250A. The colour shift depending on the viewing angle has reduced to less than half compared to a conventional OLED panel. It allows several people to evaluate the image with extreme accuracy at the same time, increasing the monitor’s versatility in top end monitoring solutions. Super Top Emission technology enhances OLED’s intrinsic benefits to deliver outstanding black performance, a quick response with virtually no motion blur, and a wide colour gamut. A 12-bit output digital signal processing engine provides a nonlinear cubic conversion colour-management system that delivers precise colour reproduction, stunning picture uniformity, smoother-than-ever gamma performance, and picture quality consistency. The BVM-F250A accepts various computer signals input up to 1920 x 1080 through its HDMI connector. This product also comes with PrimeSupport – fast, hassle-free repairs and a helpline offering expert technical advice which gives you the peace of mind that Sony is looking after your equipment, and your business.